We lost another favorite character on The Walking Dead Season 5 Episode 14. He was a relative newcomer to our family, but his death was no less profound. Probably because it was one of the most gruesome we've ever seen. 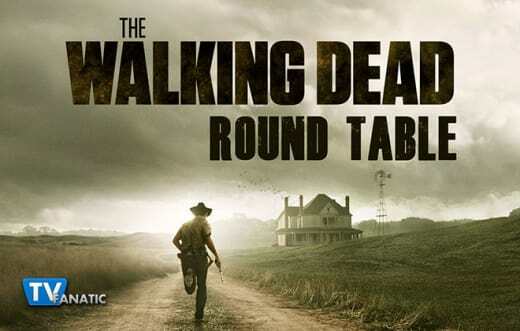 How did the TV Fanatic Round Table feel about Noah's death? Well, we're glad you asked! Join Whitney Evans, Sean McKenna, Miranda Wicker, and Eric Nordhoff from the Walker Stalkers now! Be sure to sound off in the comments below with your own answers! What was your favorite quote or scene from "Spend"? Whitney: I liked the image of Abraham with his back against the truck and the walkers descending upon him. I knew he was going to get out of it but I still held my breath as it cut to commercial. Sean: I'd have to pick the revolving door scene because it provided the most tension for the entire hour. And as tragic as the ending was for Noah (really wished he got to stay on longer), it was an affecting and emotional scene that Glenn really captured in having to watch his friend get torn apart. Such an intense scene. Eric: Motherdick – the quote from Abraham as he’s being attacked by walkers. Speaking of those walkers James and I (The Walker Stalkers) were two of those three walkers Abraham kills. We got to be walkers for this episode. What a once in a lifetime experience! Miranda: Eric, that is amazing!! Given that TWD is filmed right here in my state, I've often thought about going to zombie school. As for my favorite scene, I have to ditto Sean. I was totally tensed up during the entire revolving door scene and I really wanted Nicholas to be the one to eat it. Or be eaten. Whitney: Noah, you were a loyal friend to Beth and you were becoming a valuable part of the group. I'm saddened we didn't get to know you better and you will definitely be missed! Sean: Noah, you held so much promise. You wanted to be an architect. You were looking to the future. You were a good friend to all and you will be missed. Definitely gone too soon. Eric: Noah, you died too soon. I will miss you, brother. Miranda: Noah, you represented optimism in the face of an uncertain future. Thank you for passing that on to Glenn with your final words. We won't let go. Whitney: Finally! It's about time Eugene stepped up to the plate. I loved the image of him carrying Tara over his shoulder and blasting walkers out of the way. It seems Tara's peril is the thing that sparked him to take action, which is sweet. By the way, is Tara dead?!?! Sean: He totally could have run away, but I think being with Rick and the survivors has rubbed off on him. He didn't, and he was able to get Tara out, and even drive the van to attract some extra walkers. That was a big moment for him. Now, will he be able to do something like that again? Eric: He’s been someone I’ve not enjoyed since he admitted he lied. But, now, he finally has found himself! Way to go, Eugene! How will Rick kill Pete? Whitney: He can't straight up kill Pete within the walls, so he's going to have to lure him out into the woods. I think things are going to go downhill for our group once Glenn and company return without Deanna's son and killing the resident doctor, no matter how awful he is, isn't going to make things better. Sean: I don't know if he can just kill Pete so easily. They aren't on the outside anymore, and killing the only doctor seems like a risk. But the survivors have lasted a pretty good while without one... I don't know, but Pete better watch out. Eric: I don’t think he will. I think his little son, Sam, will kill him because he wants a gun from Carol for self defense. Miranda: I don't think Rick will be able to kill Pete. I think he'll want to, but Pete will save Tara, and then Rick (and Carol) will find themselves in a moral quandary. I could see Carol killing him before Pete. 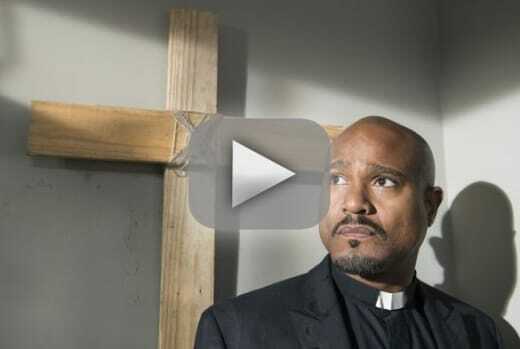 On a scale of 1 to traitorous pig, rate Father Gabriel's conversation with Deanna. Whitney: Father Gabriel has been pretty despicable since he was first introduced, so I'm not really surprised he's taken this path. He's the weak link in the group and by outing the group he probably feels like he can be taken into the Alexandria community where he can blend in better. It's incredibly flawed thinking, as he will never find a stronger group than the one he was clumsily accepted into. Sean: I agree he's definitely the weak link and his decision drives me nuts. I haven't been a fan since his introduction, and this betrayal is pretty high up on the list. I just wonder what the consequences will be for him. Eric: I give him an 8. These people are not great people. No one is in this world. But, I think his main motivation is to save himself. Once the group tells the Alexandrites what he did in the church, he will be sent out. And, I can identify with that – however flawed it may be. Miranda: I literally said "WHAT THE HELL!?" when he was talking to Deanna. The man is cracked! If Deanna wants to earn my trust, she won't believe him and will decide for herself that Rick and the gang are actually good people who've done bad things instead of just bad people. Plus, I think the real bad people are coming. Will Maggie tell the group what she overheard Father Gabriel saying? Whitney: There's no way she will keep quiet. I think she'll go straight to Rick and he'll go straight to Deanna and try to smooth things over. But will that work? I'm going to go with no. Sean: She has to, right? At least she'll tell Glenn or Rick, who will handle the situation. I just hope she doesn't try and deal with it all herself. Things are definitely going to get intense inside the walls now. Eric: Of course she will. All hell is going to break loose these next two episodes. This was probably one of the best episodes of the season. Miranda: I actually can't wait until she does. 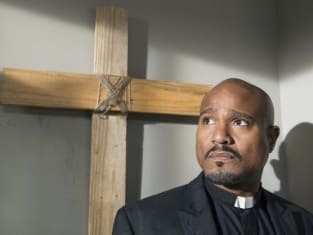 Father Gabriel is about to be out on his ears, or he'll realize how terribly he screwed up when our next band of bad guys arrive.